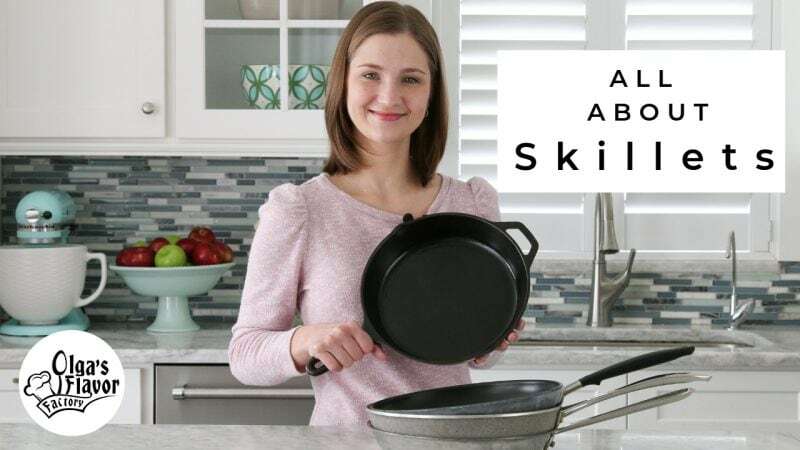 In this comprehensive video all about skillets, you will find a comparison of different skillets – stainless steel, cast iron and several kinds of nonstick skillets. 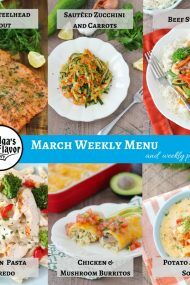 I also share examples of the best ways to use the skillets for different types of recipes, the pros and cons of each, how to take care of them as well as share the skillets that I use, love and recommend. However, there are affiliate links in this post. 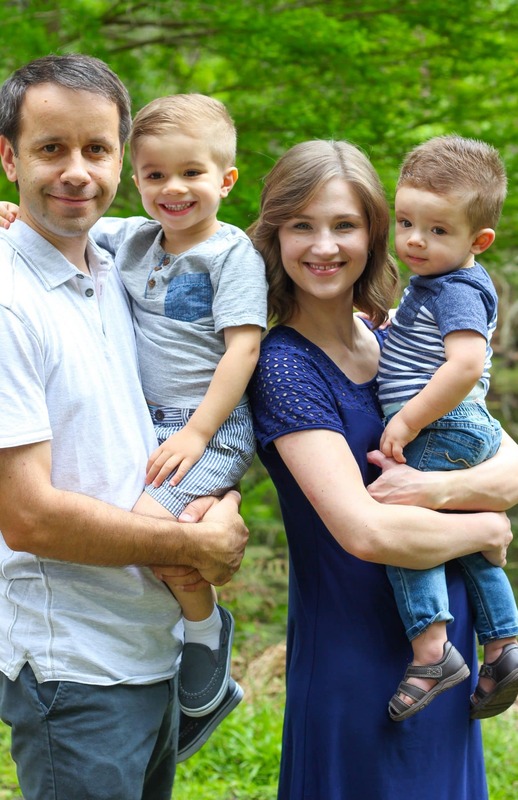 This simply means sometimes I recommend a product or service and if you choose to purchase that product or service from my recommendation, I will get a small referral commission. Of course, this is at no extra cost to you. I really appreciate your support. Thank you! 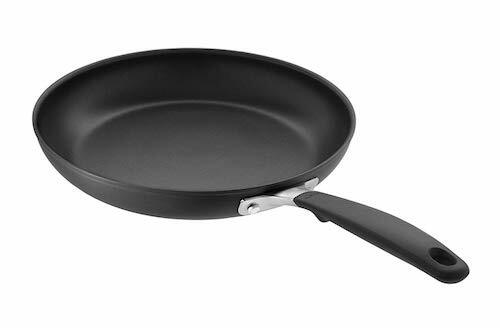 Best Used For: I use this skillet more than 90% of the time for just about everything. The only things I don’t use it for are delicate things, like eggs and starchy things, like potatoes. Pros: Excellent conductor of heat. Cooks evenly and gives food a great sear. Eco-Friendly. Relatively light-weight, especially compared to a cast iron skillet. If you buy a good quality skillet, it will not wear out over time and will serve you for a life time. Cons: Can be expensive. Not for a novice cook. How To Use: Heat the oil and the skillet first before adding the rest of the food. If you want to deglaze the skillet, pour in water, broth or wine and it will get the fond (brown bits) from the bottom of the skillet, cleaning the skillet and adding so much flavor and dimension to the meal that you are cooking. 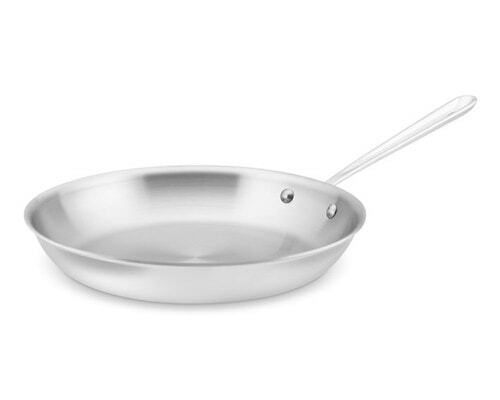 Best Used For: If seasoned properly, this skillet can be used for almost everything. The only thing that you shouldn’t cook in cast iron is anything acidic, but you can even do that, as long as you don’t leave the acidic elements in the skillet for more than 30 minutes. Pros: Inexpensive. A workhorse in the kitchen; can replace all other skillets. Excellent conductor of even heat; sears food really well. 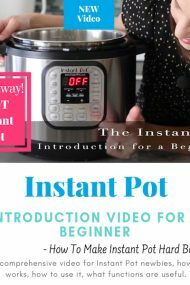 Works perfectly for both steaks, chicken, vegetables, as well as cooking delicate things like eggs, fish, and even starchy foods, like potatoes and rice. Doesn’t wear out over time; it will serve you for a life time. Cons: Heavy. Not for a novice cook. There is a bit of a learning curve about how to use the skillet, how to “season it” and how to take care of it. How To Use: Heat the skillet first with the butter/oil, before adding the food to get the best sear. “Season” the skillet by rubbing oil into the skillet with a paper towel, all over the surface and the sides and heat over low heat when you first buy it and after each use. Best Used For: Anything, especially great for delicate things like eggs, crepes, fish, etc. Pros: Easy to use; best for novice cooks. 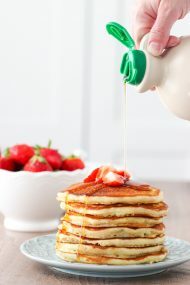 It has a nonstick surface, so food doesn’t stick to the skillet. Inexpensive. 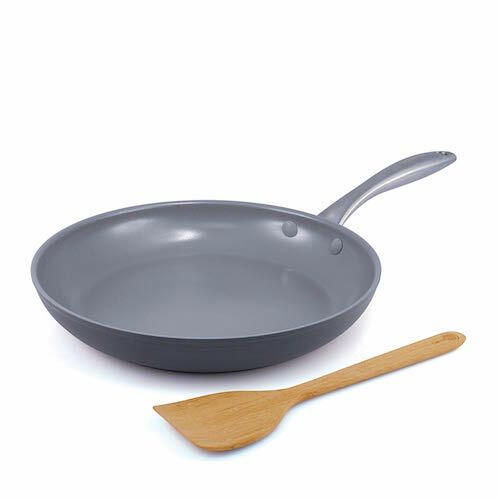 Cons: Research shows that these skillets can be dangerous to health, especially teflon coated nonstick skillets; although many are marketed as “healthier” nonstick skillets (PFOA free, etc. 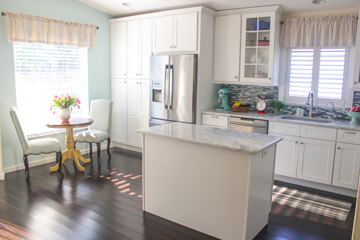 with many, many different types of coatings), there are still many unknown things and conflicting research of how “healthy” they really are. They won’t get as great of a sear as when using a stainless steel skillet or cast iron skillet. Very small amount of “fond” forms when using this skillet. Need to be replaced regularly. 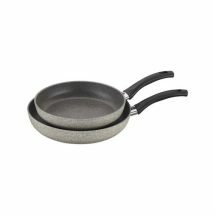 The Skillets that I Own and Recommend: OXO nonstick skillet (PFOA-free) and TFal nonstick skillet PFOA-, Lead-, and Cadmium-free. Pros: PFAO free, Marketed as eco-friendly and healthy, Easy to use, especially novice cooks, Resistant to metal utensils. Cons: They will eventually need to be replaced, not dishwasher safe, won’t get as great of a sear as cast iron or stainless steel, very minimal “fond”. The Skillet That I Own: I bought my set at Costco; it is the J. A. Henckel International. However, I can’t find the exact same skillet anywhere online. This is a very similar skillet. I have owned a ceramic coated skillet by Green Pan. When I first bought it, it worked great and I was very happy with the performance. However, shortly after, about 1-2 months of use later, the coating became dull and food was starting to stick to it. It was no longer good to use for eggs, potatoes, etc. I don’t own a copper skillet, but both my Mom and my sister have copper nonstick skillets and are very happy with them. I’ve used the skillets at their houses and liked them, but since I haven’t personally used them for long periods of time and tested numerous types of cooking methods for them, I have a very limited opinion on them. I haven’t used any other types of eco-friendly skillets yet. I think at this point, the skillets have only been around for a short amount of time and there isn’t enough research yet about whether or not they are really “healthy” or not. If you want to be sure to use something that is completely free of harmful things, stick with stainless steel and cast iron skillets. 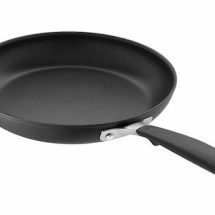 If you do buy nonstick skillets, make sure to use them properly and replace them as soon as they show any signs of wear. Should You Buy a Cookware Set? I recommend making your own custom set by buying the specific pots and pans in the sizes that you want and will use. 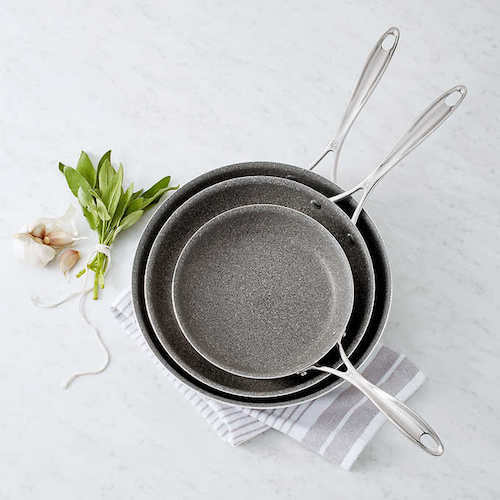 Most cookware sets will have some pieces that you won’t use and won’t have a few pieces that you would really enjoy. It will usually be a better bargain to just buy everything separately. I want to hear from you. What skillets do you use? Which ones are your favorite and why? Thanks for sharing Olga!!! Great video!!! Would like to sear more info about cast iron. Thanks for such an informative video. I learned things and now want to get GOOD stainless steel skillet and give it another shoot! Love my cast iron but can’t wait for that video! Thank you again and keep it up! Olga, you are so wonderful! And this video is great! Thank you, but I do have a question… would you recommend those for any cook tops? Or do those work best on gas only? I heard that there is a difference. 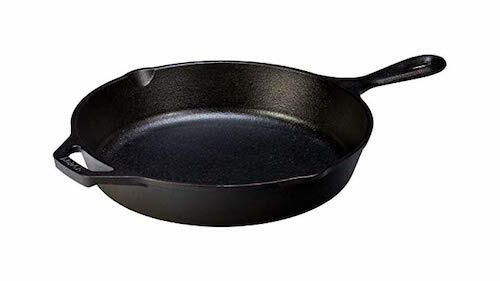 The only skillet that is not recommended for a flattop electric stove is the cast iron skillet, the rest of the skillets can be used on any stove top. However, I used the cast iron on a flattop electric skillet for years and never had any issues:). I really like these types of posts, they’re so helpful. I recently purchased a set of dishes that are stainless steel but the exterior is copper. Each time I use it and then wash it it leaves stains and the copper Is losing its gloss. I use fish soap and vinegar to wash them. Any ideas or tips on how to care for them and how to remove the stains would be appreciated. The stains seem to happen from the washing, not cooking. I towel dry the dishes right away and only hand wash. Thanks so much. I’m so happy you found this helpful, Jenny. I don’t own any copped skillets, so I don’t have any experience with cleaning them. 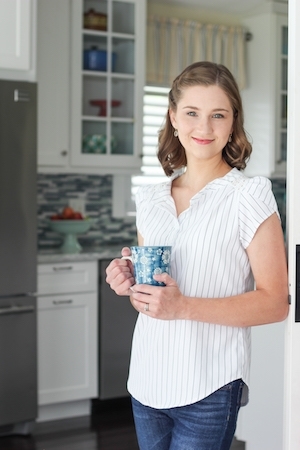 I would recommend trying baking soda to get them to shine – that’s what I use sometimes for stainless steel. Love this post with video. 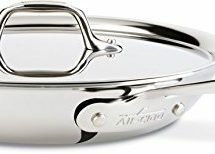 I remember back when I was getting married I did a research on what type of pans to get for cooking, and ended up getting stainless steel pans. I still have them, and they are my go to for cooking.Invest in good things that will serve you for years. I cant wait for you video on cast iron skillets! 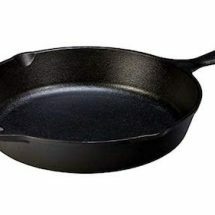 I bought one recently, seasoned it, but i might’ve ruined it because i tried to fry potatoes, stuck to the pan and now i don’t know how to clean it. I will film the Cast Iron Skillet Video as soon as I have a chance, Larisa. I would not recommend making potatoes in a cast iron skillet until you’ve used your skillet for awhile. Potatoes are very starchy and will stick to the skillet until you have a nice surface that you’ve worked up over time. I hope the new video will be helpful:).